Further to my original thought, I perused the internet in search of stylish, letterpress, blog-worthy advent calendars, but I couldn't really find many that I liked, except for the one above, which is from nuvonova's etsy shop. 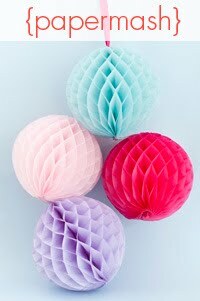 Is it because all of you crafty types out there are capable of making an advent calendar as a DIY project, patiently sticking together 25 little boxes with tiny pieces of ribbon and card? That's not for me, sorry, but I have huge admiration for all of you who can pull it off. I'm looking for a quick-hit, readymade, stylish and chocolate-filled option. It seems that this is a difficult combination to come across. 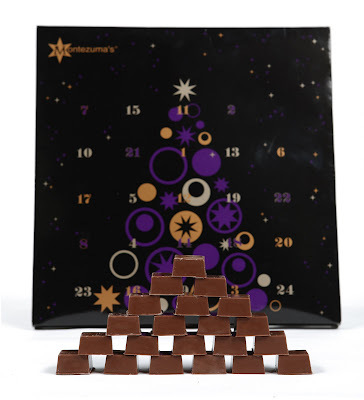 I usually buy advent calendars from Marks and Spencer, as I like their chocolate, and the designs generally aren't too twee and offensive, but this year I am thinking of upgrading to this Montezuma advent calendar. Their chocolate is delicious, (I especially like the orange and geranium) and the design is pretty nice too. These are so charming---I love the contrast of the red string with the natural muslin. Just a touch of holiday cheer without going over the top! And I have to say---if we got chocolate advent calendars here in the States that are as cool as the one you've posted from M&S, I would be all over those! And I'll bet the chocolate is beautiful too...here I've only ever had the ones that taste more like wax than like chocolate. Love the bags! 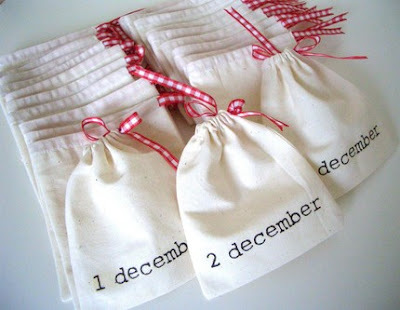 Such a sweet, simple idea.